Universal PA Hire Limited are a small, friendly company based in Ipswich, Suffolk. Our ethic is simple: to give the best possible service at an affordable rate. We provide audio and backline equipment for hire. We also run well-equipped, air-conditioned rehearsal studios. PA & Disco equipment hire for live events/concerts, theatre, conferences, weddings, seminars, speeches, pubs, parties and other functions. Serving Ipswich, Suffolk, Bury, Norwich, Norfolk, Cambridge, Cambridgeshire,Colchester, Chelmsford, Essex London, Hertfordshire, Kent, Newmarket, Thetford, East Anglia and more. 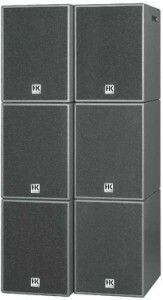 Universal PA Hire Ltd have a wide range of audio equipment and backline and a fleet of efficient company vehicles.